Ok, so its not the most amazing upload ever, but it is a handy little package in my opinion. I've been sitting on this for a while. After plasticbox uploaded some houses with a roof recolor done by Neveah223, I decided to turn them into defaults. 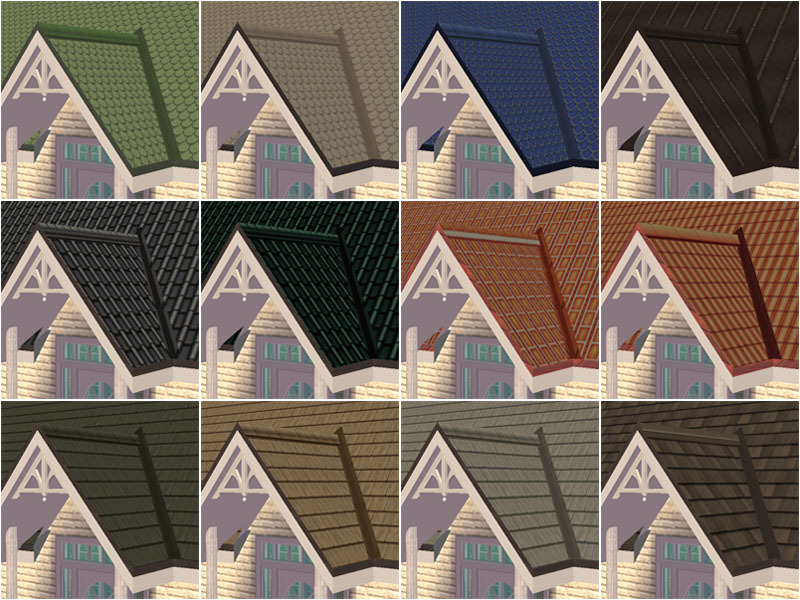 Place this download in your downloads folder and all 23 Maxis roofs (not counting the 3 BV grass roofs) will adapt the new white trim. Quite a handy little thing. The white trim looks a MILLION times better than the default grey. 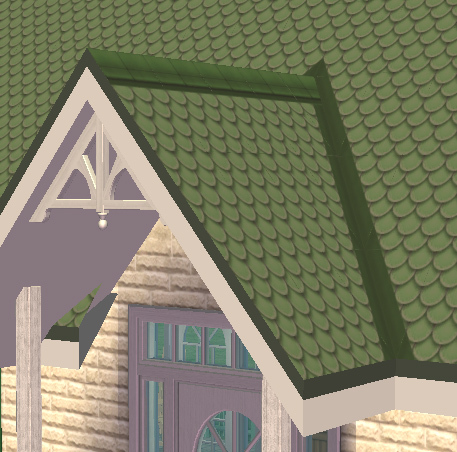 This also changes the underside of the roof making it white as well. The adorable gable accent is from Marina's Sims found at this page.